Mark Martin earned his 56th Sprint Cup pole at Phoenix on Friday. 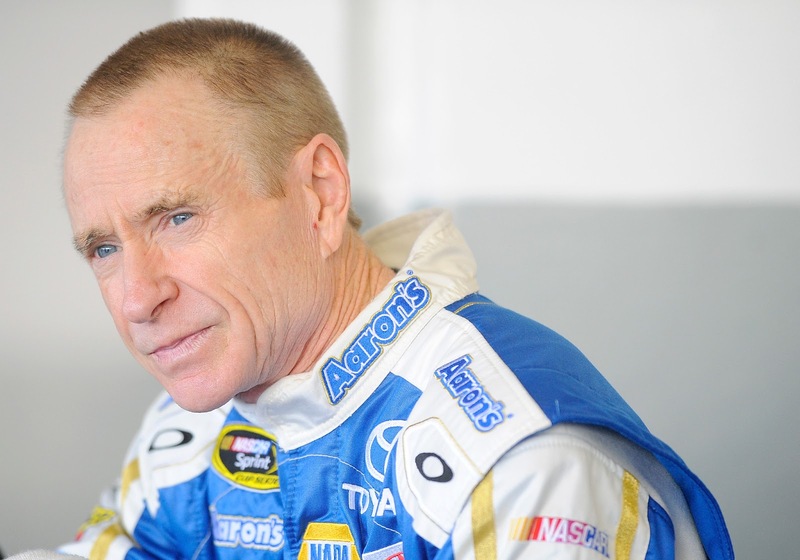 Mark Martin claimed his second straight pole for the spring race at Phoenix International Raceway with a fastest lap of 138.074 mph in Friday's qualifying session. This is his third pole at Phoenix and the 56th pole of his Sprint Cup Series career. Martin now sits 7th on NASCAR's all-time poles list. Kasey Kahne will start on the outside pole. Rounding out the top are Daytona 500 winner Jimmie Johnson, Kyle Busch and Jeff Gordon. According to SPEED, Johnson's racecar went three times through NASCAR's new laser inspection process before being cleared to qualify. Kurt Busch hit the wall during his qualifying effort and will start 25th. After qualifying, Busch said on his Twitter account, "Had an issue w/leak from the water line which burst on lap 2 of qualifying. Water sprayed the rt front tire & we slid on it into the wall." The Subway Fresh Fit 500 at Phoenix International Raceway will be broadcast live Sunday at 3 p.m. ET on FOX. Green flag is scheduled for 3:14 p.m. ET. Updates: Kurt Busch will go to a backup after hitting the wall during qualifying and will start from the rear of the field. Denny Hamlin will also start from the back due to an engine change.